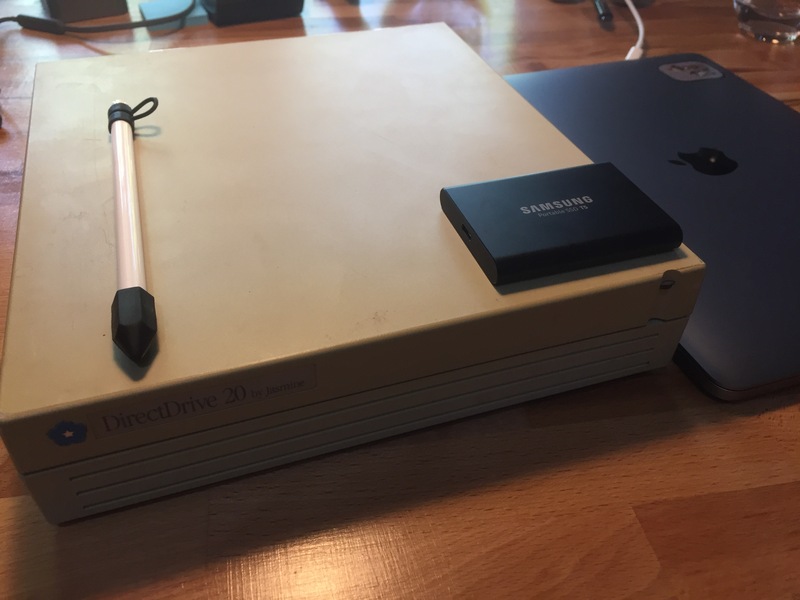 The Jasmine Drive was the state-of-the-art in home computing at the time with its SCSI interface; it was the size of a medium pizza box. 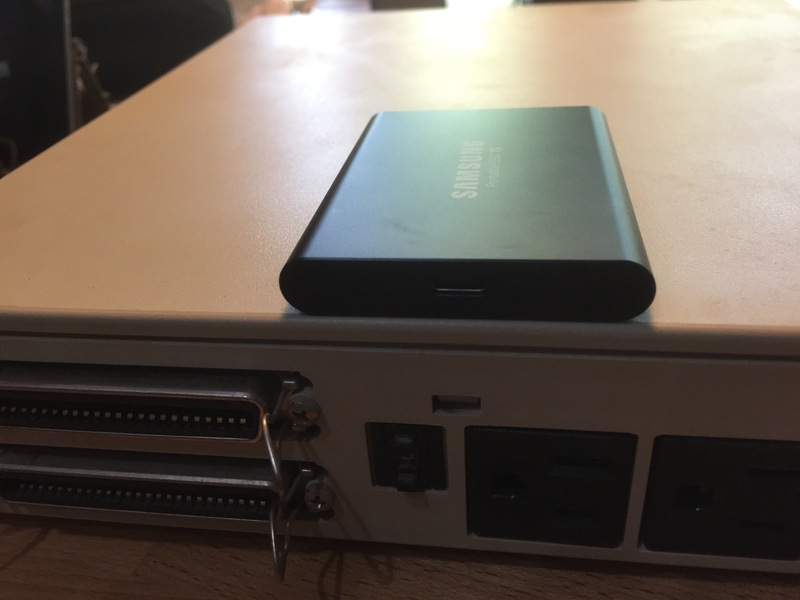 Looking at the picture, you can see that the SCSI connectors (right picture, left side) itself is bigger than the T5 drive for 100 000 times more capacity in the latter! The transfer speed of the T5 SSD is rated for 540 MB/s (over 25 times the size of the Jasmine drive per seconds) and my tests certainly confirm close to 500 MB/s sustain transfer rate. This is not the fastest external drive you can buy nowadays. If you are prepared to pay over 2000$ (CAD), you can get 2600 MB/s transfer rate (like the OWC envoy pro and others). Overall, the 2 TB Samsung T5 SSD is a perfect travel companion for my MacBook and it fits even the tinniest pocket.